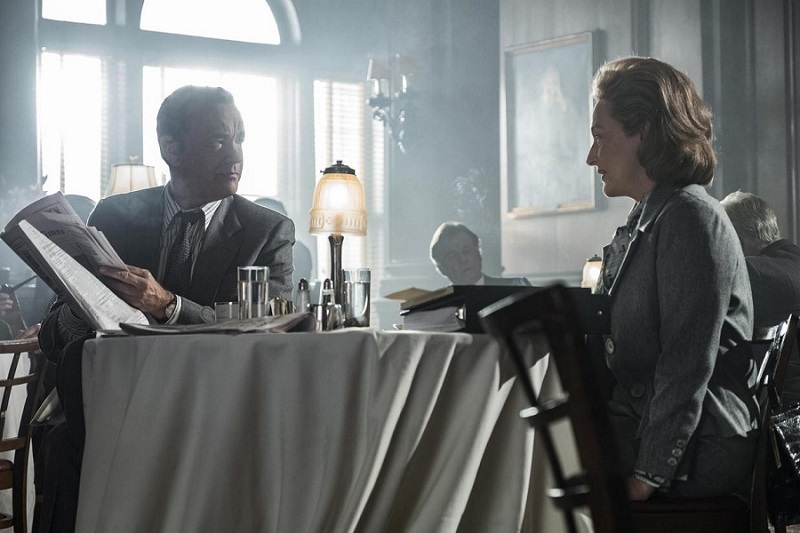 Ben Bradlee (Tom Hanks) and Katherine Graham (Meryl Streep) in The Post. The Post is a movie about the build up to the Watergate scandal in the late 1960s. It follows the difficulties faced by the Washington Post and the Times of reporting on leaked secret documents. It highlighted the challenges editors and reporters faced between wanting to report on key issues without breaking the law or upsetting those in power. We liked the movie, in particular the character of Ben Bradlee, the lead reporter, played by Tom Hanks. We found him to be a gritty character who liked to do his own thing, but who came to realise the challenges an editor faces when publishing such a controversial story. The owner of the Washington Post was Katharine Graham, brilliantly played by Meryl Streep. Graham’s character was conflicted on whether to publish the documents or not; she wanted the paper to continue so that it could publish articles and her workforce would have job security. We felt she was a very strong female lead. Her character highlighted the differences between friendships and work relationships, the friendships with people in power led her to be more reluctant to publish a controversial story about them. *MINI SPOILER ALERT* Although in the end Graham did publish the story despite these friendships as she felt it was in the public interest. We would recommend the movie to people who like a suspense drama or thriller.